Going to the movies or curling up on the couch in front of your favorite DVD flick is one of the most common ways people seek entertainment. After all, what isn’t to like about zoning out and letting someone tell you a story about another world or some cool event in history? However, sometimes when a movie does so well, the people who made it get to thinking, “Why not make another?” Sometimes, movie sequels are great extensions of an already beloved story. In the case of these 15 movies, though, the creators should have stopped while they were ahead. This is a list of 15 movie sequels that absolutely, positively sucked. Starting off this list is your favorite archeologist, Indiana Jones. Indy is one of the most recognized movie characters of modern entertainment, along with his trusty whip and fear of snakes. The first Indiana Jones movie, Raiders of the Lost Ark, captivated audiences everywhere, and kept them enthralled through not one, but two amazing sequels! It seemed that director Steven Spielberg and creator George Lucas, themselves already cemented in movie history for their successes, could do no wrong with the franchise. That is, until a modern reboot of the character in an attempt to grab a new generation of movie-goers blew up in their faces… or fizzled, whichever one seems most appropriate. 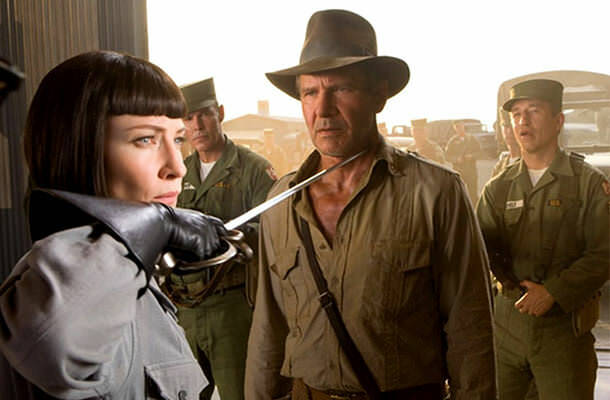 Indiana Jones and the Kingdom of the Crystal Skull took Indy on an adventure he really shouldn’t have gone on. Plumbing the depths of an ancient civilization, ok, but discovering that said civilization was ruled over by aliens? That might have been the straw that broke the camel’s back. Of course the out-of-place Nazis didn’t help, either. Hopefully Lucas got all his wacky story ideas out of his system with this one.